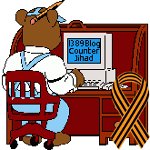 Muslim Brotherhood moles — 1389 Blog - Counterjihad! Why Did NSA Surveillance Fail To Stop Nidal Hasan? Because MUSLIMS are exempt from scrutiny! Anthony Weiner’s wife Huma Abedin failed to disclose outside consulting while working at State Dept. Contention at CPAC 2013: The Counterjihad vs. Grover Norquist, Brett Kimberlin, et. al. Muslim Brotherhood Infiltrates Obama Administration…ya THINK? Where is Huma Abedin’s security clearance?